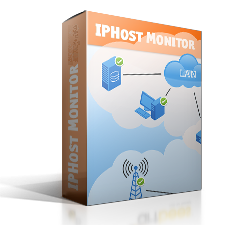 IPHost Network Monitor is available in several editions, prices start from $199 for edition with 200 monitors. Please check order page and select the option that best suits your needs. You can order IPHost Network Monitor online by credit card or PayPal. Orders by wire transfer, phone, fax, mail / check / money order, or local bank transfer are also supported. After your order has been processed you will receive an e-mail with your license key and registration instructions.